Hanging in my office I have a framed image of Bill and Ted’s Excellent Adventure (which just happens to be the greatest feat of brilliance in cinematic history). To make it even better, it’s signed by Alex Winter aka Bill S. Preston, Esquire. 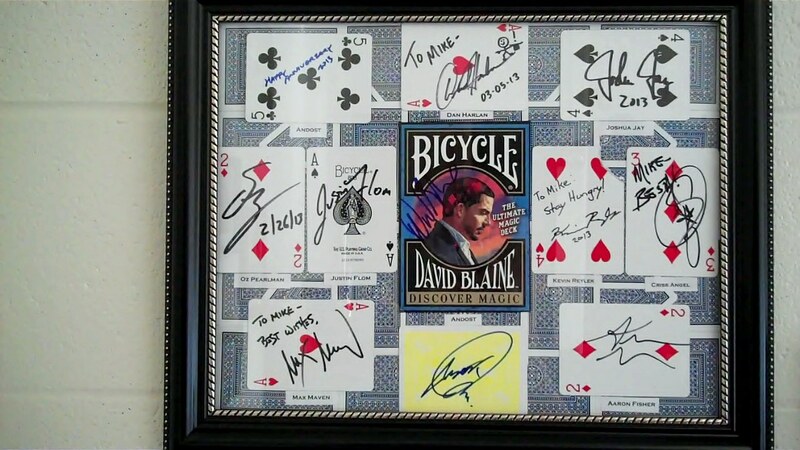 I also have some playing cards signed by famous magicians like David Blaine, Criss Angel and Joshua Jay. And in a special place of honor, next to my desk (where I can gaze at it lovingly) is Bill Nye the Science Guy’s autograph. I really like autographs. It’s so cool to hold something in your hands that was held by someone you admire – something they’ve actually put their unique stamp on. It just wouldn’t be the same if they weren’t authentic autographs. If someone, even someone with the best of intentions, started forging signatures of a person I admire, I would be upset. Even if the forgeries looked identical, they wouldn’t be authentic and would be totally meaningless. It makes me think about the priesthood. It’s not the outward ordinances of the priesthood that make it amazing, it’s the realization that it is the Lord’s priesthood. He holds this priesthood and it bears His unique stamp. The world is full of people claiming to act in Christ’s name, but where did their authority come from? Even the most well-meaning person can not act in the Lord’s name without His divine stamp of approval, without His authority. He had always granted His authority through the laying on of hands by His authorized servant. Without this authority, ordinances are meaningless even if they are exact replicas of the actual ordinance. Just an FYI for those who might not know about it: Melchizedek priesthood lines of authority can be requested from the LDS Church.